Natural light in Jordan's family playroom was perfect for a feminine portrait. Pretty pops of color bring their farm table to life. Up next is Mom Crush Jordan Lloyd Bookey. Jordan’s long-time passion for educating children led her to work at Google as their K-12 education and outreach. After having kids, Jordan and her husband launched Zoobean, a children's book app that curates books and apps specifically for kids. Yay reading! 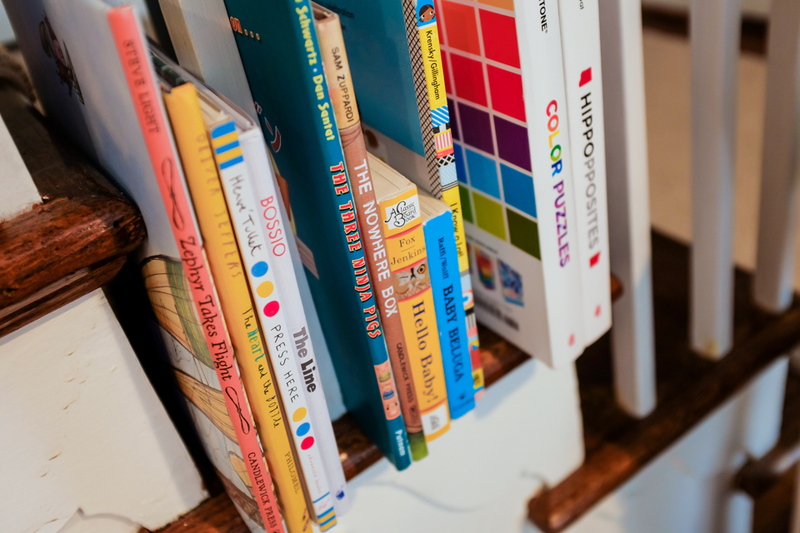 Children's books are all over the family's house, and reading is one of their favorite activities. Jordan’s house was a mix of contemporary and mid-century style, sparked with playful uses of color. Just to give you an idea: an original Eames recliner anchors her living room. Swoon. Her two kids Cassius and Florence loved showing me their favorite toys and books, and had great senses of imagination. Many thanks to Jordan and her family for having us!